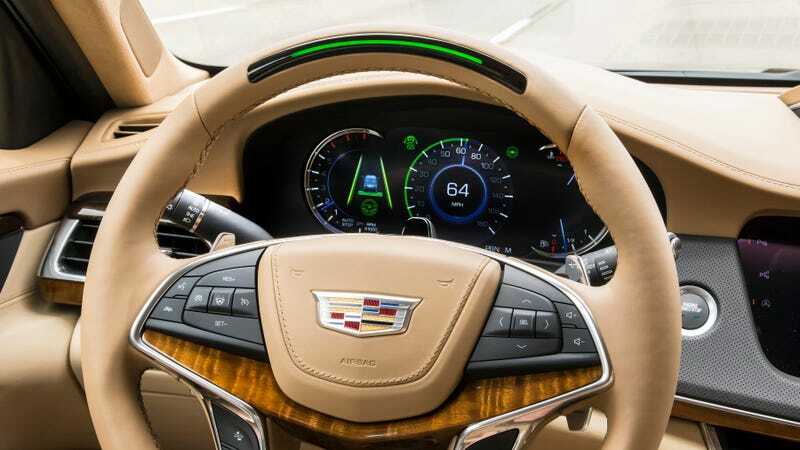 Reasonable people disagree, but for my money, Cadillac’s Super Cruise system is the best semi-autonomous system in the game: better than Tesla’s, better than Volvo’s, better than Nissan’s. But one thing that sets it apart—its system for making sure the driver’s paying attention—apparently doesn’t work great under full sunlight. That’s according to Automotive News, which spoke to some some engineers, including one from General Motors, who said that the company was working on fixing it for the next generation of Super Cruise. As it is, the system will sometimes abruptly shut off if direct sunlight is stopping a steering-wheel-column-mounted infrared camera from looking at your face. And it’s apparently been an issue since Super Cruise’s launch, on the 2018 CT6. Fixes for Super Cruise’s sunlight problem will be part of “significant changes” coming in the hardware for the next-generation system, said Daryl Wilson, GM lead automated-driving engineer. Wilson declined to comment on timing or details of that system, but GM would likely want to launch the system as it begins rolling out Super Cruise across its lineup beginning in 2020. “We are learning from this, and we’re going to make that availability much more robust in those situations,” Wilson said. All of this might be no big deal, if not for the fact that the camera and the system are in part what separates Super Cruise from the pack. That’s because a company like Tesla can call its AutoPilot system “self-driving” all it wants, but the fact is it’s not, since like most other systems in the space, there’s a prompt to put your hands back on the wheel once the system feels unsure you’re paying attention. Anyway, what’s also set Super Cruise apart from is the relative humility of GM, in that the company has never promised (much) more than what the system can actually accomplish. It’s also the system that, according to Consumer Reports, “is the best system at knowing when it’s within its operational limits.” Those operational limits include, I regret to report, sunlight. Will Autonomous Cars Be Able To Sense Bad Drivers?